Has your cell phone ever had a dropped call? A survey conducted in 2012 by the Pew Research Center and American Life revealed that 72% of respondents had experienced a dropped call at least once and 32% of them experienced dropped calls multiple times per week. Clearly, there are times when a cell phone signal simply isn’t strong enough, but despite this it took until 2013 before the FCC approved the use of cell phone signal boosters. In fact, all cell phone signal boosters must be approved by the FCC (or Industry Canada in Canada) to ensure they are properly designed and will not malfunction, which can severely interrupt wireless networks and can even disrupt 911 and other emergency calls. They must also be properly installed. The newest set of FCC rules regarding the use of signal boosters were established in 2014. Before we get into the cell phone signal booster, it is important to understand why a cell phone signal can be weak. There are two primary causes of a weak cell signal. The first is simply being located too far away from a cell tower. Cell phones work on a radio frequency and if you are too far away from the tower, then the signal becomes weak and you can’t pick it up, much like going out of the range of a radio station. Any one of these issues can make it difficult to get a cell phone signal, but if you have two or more occurring at the same time, then you are essentially guaranteed to not have a signal. This is where a cell phone signal booster comes in. Even though cell phone carriers keep building more and more cell towers, dropped calls continue to be a problem. Many places, including homes and workplaces, have a weak cell signal and it is the job of a cell phone signal booster to amplify the signal that already exists and then broadcast that signal to areas in which the signal is weak. 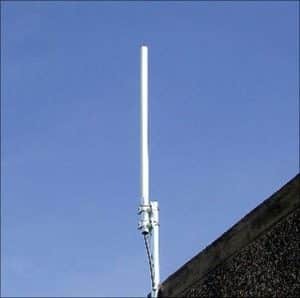 Exterior antenna: This is the antenna that is outside the building in which you want to boost the signal. You can use one of two external antennas. The omnidirectional antenna will send a signal to and receive a signal from any direction. A yagi directional antenna is only able to send and receive a signal in one direction. Amplifier: This is the piece of equipment that boosts the signal where it is needed to make it stronger and its power is measured in decibels (dB). Interior antenna: This antenna is located inside the building in which you want to boost the signal. As with the exterior antenna, you also have two choices when it comes to the interior antenna. A dome antenna will boost the signal on one floor and can send and receive the signal in all directions (this is best mounted on a ceiling). A panel antenna will send and receive a signal in one direction and is best used in long rooms or to improve the signal on more than one floor of a building. These three components are all connected via a cable. However, the cell signal booster can only work if there is a stable signal that already exists. The booster cannot create a signal on its own. 2G and 3G networks: Most carriers in North America use these networks, so one booster can work for any of these carriers. 4G LTE networks: Each carrier that uses the 4G LTE network has their own unique frequency on that network, so you will need to get a booster specifically designed for that frequency. Remember the exterior antennas we discussed above? The omnidirectional antenna is what you need if you want to boost the signal from more than one carrier and on more than one network. The yagi directional antenna will work fine if you only need to boost the signal from a single carrier. Where you live: The exterior antenna you use will also depend on where you live. In urban and suburban areas, an omnidirectional antenna is the best because the signal is strong and comes from multiple directions and it is only the interior signal that is weak. However, in rural areas, the exterior signal can be weak, which means a yagi directional antenna is best. This antenna is better at picking up long-range signals and it should be pointed toward the nearest cell tower so it can pick up the weak signal. Area to be covered: You need to know whether your whole home or office building needs a signal boost or just certain areas of the building that are getting a weak signal. This comes down to the interior antennas we discussed and whether you want to boost the signal in a certain room or throughout a multi-story building. For a house, the ideal maximum gain of the booster should be 72 dB. Cable length: The cables used to connect the pieces of the booster system will inevitably lose some of the signal, so it is important to keep the cable as short as possible and to use as high-quality cable as possible. This is particularly true of the cable used to connect the exterior antenna to the amplifier. This exterior cable should be as short as possible, because for every 100 ft. of cable, the signal decreases as much as 3.9 dB and for every 3.0 dB change in the signal strength there is an exponential change in the strength of the amplifier. For this reason, if the signal goes down by 3.0 dB, then amplifier strength will decrease by half. Choose the type of cable carefully. An Ultra Low Loss LMR-400 cable is a better choice because it only loses 2.0 dB per 50 ft., whereas a standard R G6 coaxial cable will lose 5 dB per 50 ft. In the end, a weak cell phone signal doesn’t have to be your reality. When you get a good quality cell phone signal booster that is meant to work with your carrier and the network they use, you will be able to enjoy a strong signal all the time and you won’t have to worry about dropped calls and interrupted downloads again.